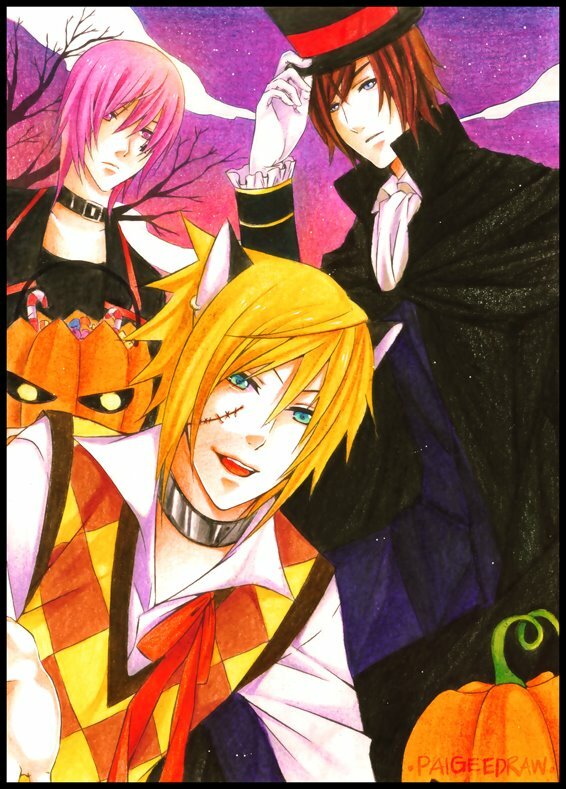 The PaigeeDraw / ChibiDraw Halloween Contest was a huge success! The contest only lasted for a month and we had almost 1000 drawings submitted! 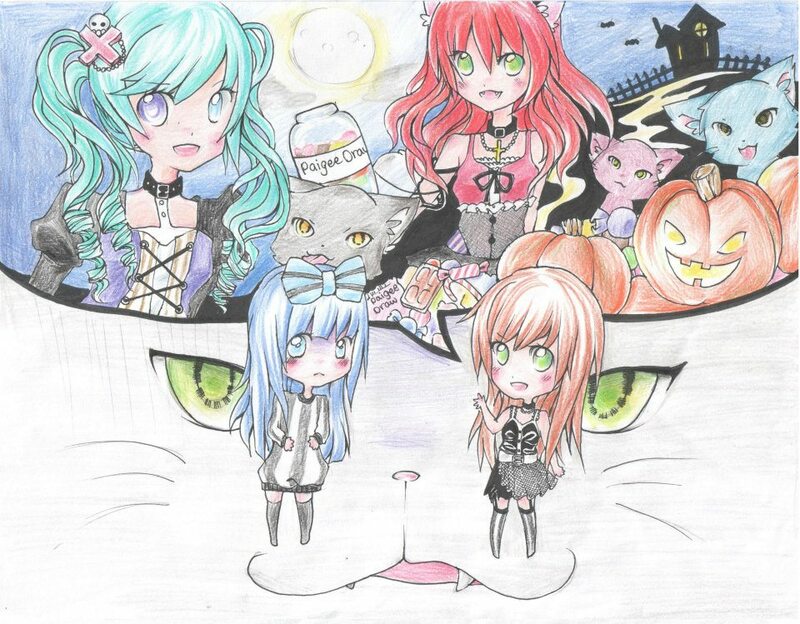 Contest entry by Miho Okano! Contest entry by Miho Okano ! Story: Ame: "Aoi, what are you going to wear today to trick-or-treat?" Aoi: "e..nothing, i dont want to"
a gothic girl will come to kidnap you. also they will bring their cats and mutated pumpkins with them"
Contest entry by Hannah Carunungan! Characters Names in Drawing: AoiTitle of Drawing: MINE!! Title of Drawing: You're Invited! Contest entry by Lisa Sandoval! 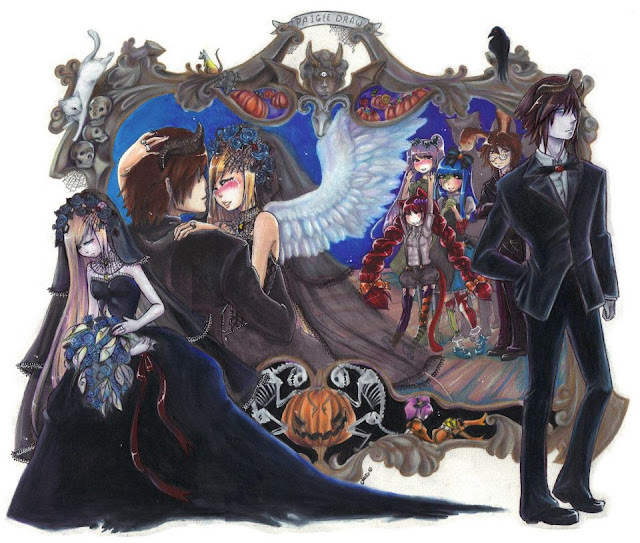 Characters Names in Drawing: Taliliah, Jacques, Aoi, Nyan, Yoko, Yuma, Aisu on the picture frame. Story: The day everyone had been waiting for! The wedding of Taliliah and Jacques, on all hallows eve night. Hustling and bustling of their nearest friends kept the chilled nights air charged with excitement. Music started to play a erie toon, as the doors opened and jacques set his eyes on his hauntling stunning dark bride as gasps rung thoughout the church. Taliliahs dress was all black, giving her pale skin a moon kissed glow as she walked down the runway as blue roses and a black veil with spider webs adorned her head, shaping around her face. All eyes where apon her as she made her way to her groom, carrying a flower arrangement of blue roses and calla lillies. Strange, the meaning to those flowers, a sign of purity in the calla lillies, weddings, and that of reserrection in death, the blue roses, something that isn't suppose to exist, myth. Came togther to make her stunning. Taliliah came to the side of Jacques, turns to face him. He couldn't take his eyes off her, she was everything to him and so much more. Here is was, infront of him on this night, usually a night that was to be celebrating and remembering the dead, and they about to say their vows of love. They said the "I do's". Everyone stood up and cheered for the happy couple. Taliliah started to happily weep as her wings burst foreward, as to show how happy she was as Jacques leaned in for the kiss. Sealing them to eachother. Materials: Prismacolor pencils, Prismacolor makers, copics, prismacolor fine liner, ballpoint pen, gel pen, metalic paint. Time taken was about 95+ Hours over 3 weeks time. 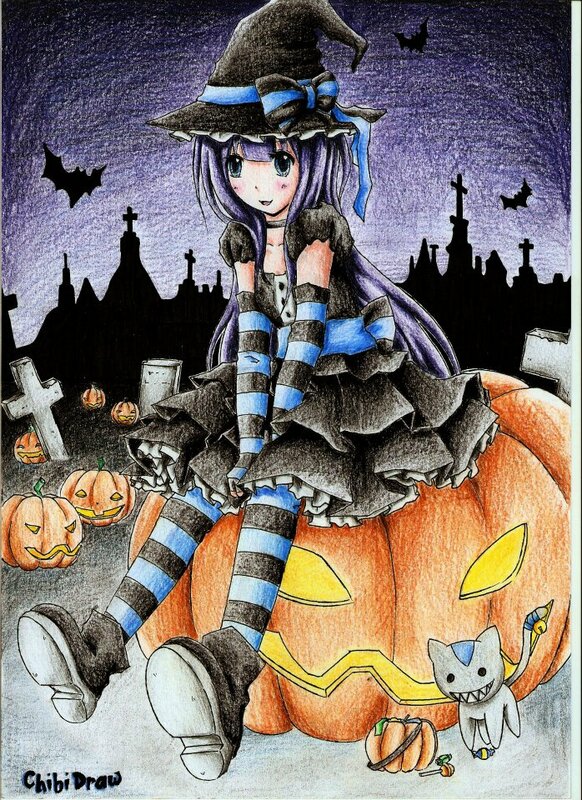 Story: Hime, excited that halloween was that evening, wanted to dress as a Hime Gyaru Vampire, With matching ring, bat broaches, and special Tiara she made just for the holiday. So excited about that night, Hime went to visit Owari. Owari always wanted to dressup, but didn't like the idea of being too flashy like Hime. So Hime made a Blood Nurse outfit for Owari to match her Vampire Hime Gyaru. After getting dressed, Hime asked the very silent Owari if she wanted to visit the visiting halloween carnival that was in town. Excitedly nodding, Owari agreed. On the way, they found a stunning white stray cat, Hime always the one to have cute things on her, had a extra red ribbon to give to the cat, as Owari fed it some candy. Smitten with the cat, and the cat smitten with them, Allowed the girls to carry it as they went to the carnival. 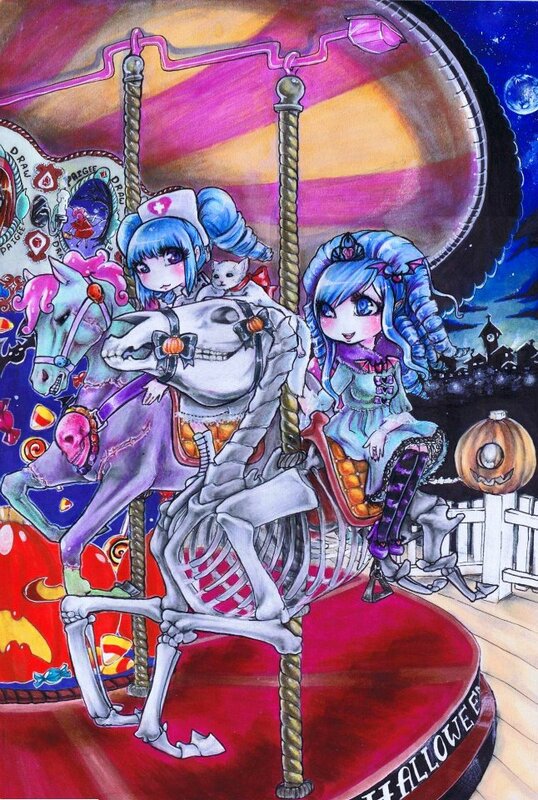 Seeing the events, and riding on the ever so famous Halloween decorated Carousel. Materials: Prismacolor pencils, Markers, Whiteout, Ballpoint pen. Time taken was 27+ hours over a weeks time. Spent a week before practicing Horse Anatomy and Skeletal Structure. 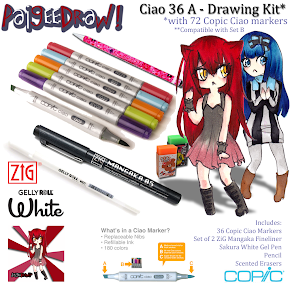 Thank you to everyone that Entered the PaigeeDraw / ChibiDraw "Halloween" Contest! the PaigeeDraw Apps, the PaigeeDraw Online Store, and the PaigeeDraw Etsy Store! 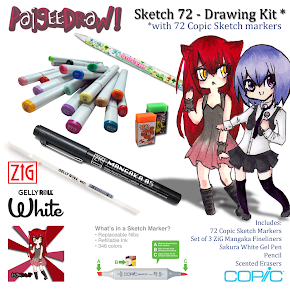 Please support the PaigeeDraw Communities by buying your art supplies at the PaigeeDraw Online Store and by purchasing your copy of PaigeeDraw PRO or ChibiDraw PRO on iTunes for $2.99! 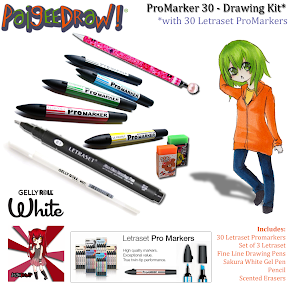 Your support helps us to keep having more Manga Contests with great prizes for young aspiring artists! 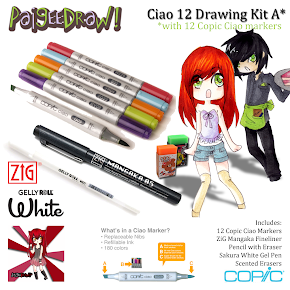 Visit the Online store for the best prices on Copic Ciao Markers, and the best prices for Copic Sketch Markers! A huge thank you to everyone that participated in the ChibiDraw "Summer Holidays" Contest! A huge thank you to the PaigeeDraw Communities! Copic Markers on Sale all Weekend at PaigeeDraw! PaigeeDraw World - Starts Today! 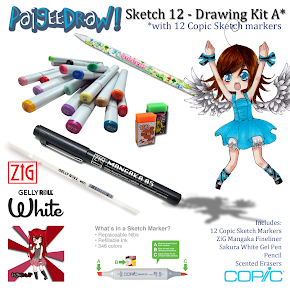 Official Copic Marker Kits Added to Online Store! PaigeeDraw Boys HD - Released for iPad on iTunes! 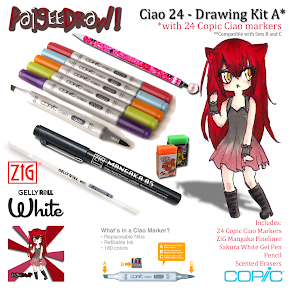 PaigeeDraw / ChibiDraw Christmas PRO Contest!